Punch, published from 1841-1992 then 1996-2002, is the work most representative of Britain’s comic periodicals during the Victorian Age. As a comic periodical marketed toward the middle and upper classes, Punch prominently featured satirical articles and illustrations reflecting relevant political and societal issues such as the hardships of the rural working class. 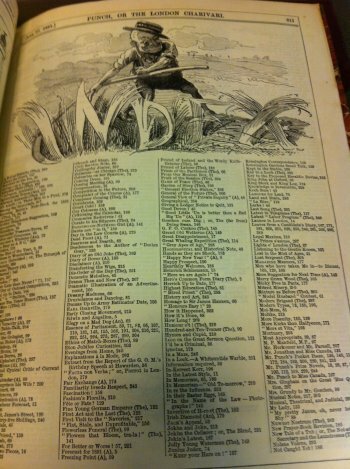 The particular volumes of Punch displayed here are volumes 97-100, which were published from 1889-1891 by Bradbury, Agnew and Co. in London and Tonbridge, England. 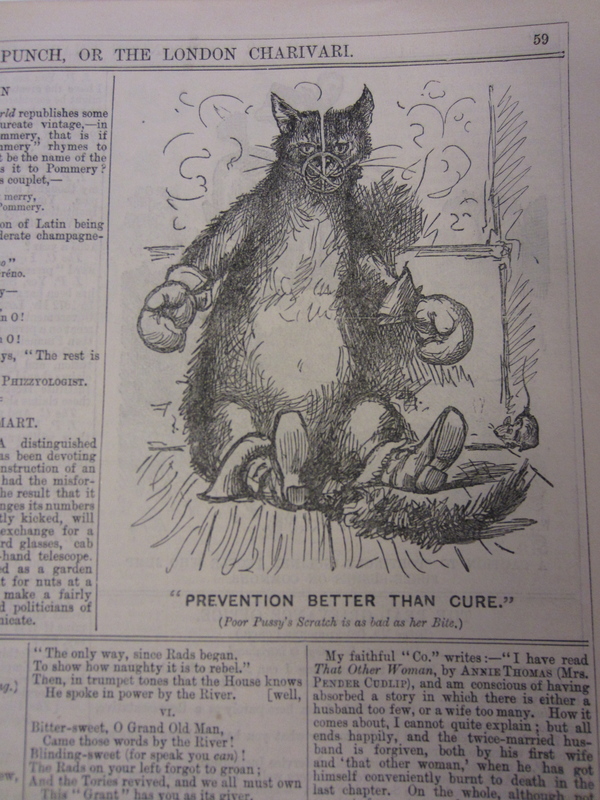 Punch’s typical format consisted of a twelve-page issue published weekly. 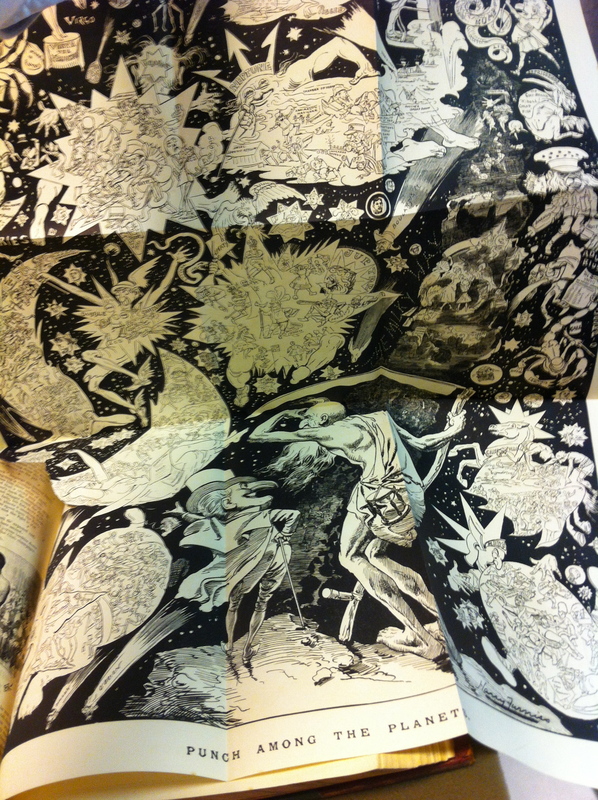 As a unifying feature, illustrations and signatures of the periodical’s fictional editor, Mr. Punch, appeared throughout every issue. Additionally, a few pages expand to reveal almost poster-size illustrations. Punch’s weekly issue originally cost 3d (a threepenny bit, which converts to about $1.00 U.S. present day).